Are the gold wheels right for a gray interior/red stripe car?? No gold available for a red car with red/black stripes and grey interior. Very curious on this one. I just found out that a neighbor has a blue '89 5.7 w/ t-tops with 1400 miles sitting in HER garage. She's in her mid 60's and has basically adopted my wife as her daughter. They have become best friends. I thought about making her an offer but I don't think she would sell. She "jokingly" said she would leave it to my wife. Funny side story. She collected concert tee shirts back in the day and just gave a bunch to my wife. GNR, Aerosmith, ACDC, Def Leppard, Metallica etc. Cool to see an older woman who would've been mid 30's at the time, who bought a new IROC while attending all of these concerts, living down the road from me and no one in the area knows whats in the garage. My meeting on Jan 16 got canceled. I want to go see this car live at the auction, anyone in AZ this week want to meetup and had over to the auction together on Jan 16th Wednesday? TTAs seem to have leveled off in price. It's nuts what stuff is selling for out there - a 4000 mile 2003 Toyota MR2 sells for $20,000......HUH?? Then you see a 8000 mile 2001 Cobra sell for 14,000......WTF ?? '80's and '90's Japanese stuff is hot right now. Almost bought one brand new. Guess I should have. Yeah, you'd think. a TTA is a far better performance car than a GN. The TTA is superior in performance to the GN. Problem is the TTA looks boring. It's just a white GTA. GNs are a dramatic departure visually from a regular Regal or T-Type. Also, G-body prices are going through the roof right now. From what I can tell low mileage original versions have surpassed the value of similar condition F-bodies it appears. Who would have guessed that? Again, the performance of a 5.7L GTA or IROC is VASTLY superior to any Monte SS, H/O, 442, yet they bring the cash anyway it seems. It's simply impossible to predict what will be hot, and worse, WHEN. Ages ago, I bought my '64 Galaxie500XL from the original owner. 39,000 miles. All original. I lost count of how many people told me I really shouldn't be driving it, it was so nice, it was bound to be worth a fortune one day, and they'd generally point to the then (1980's) hot values being seen on Mustangs and certain Thunderbirds. I kept that car for nearly 20 years, and drove the wheels off of it, but the car was NEVER particularly valuable, even though what people were saying at the time made sense, and seemed likely to be the way values on the cars would go. Even now, a nice '64 500XL goes for around 20K or so, unless it's one of the 427 cars, or has incredibly low mileage. Buying a standard production car as an investment is a risky proposition, and there's simply no way to know in advance whether values will rise or fall. TTAs, way to many nice ones, low demand and low prospective buyers. GNs not as many nice originals left as most were beat on and modified to beat the band. Many more people had these and are now looking for a nice one..
Last edited by TTOP350; 01-15-2019 at 05:43 PM. good luck today !! hope your car does well and i think it should .. The problem was that the only people left chasing the car as bidders were the bargain hunters or dealers with the car hanging with no reserve. A dealer likely got this car. Seller is looking for a cliff to jump off about now I think. National TV on Tuesday is not always a good thing. Well anyone who thinks they are going to get any money out of ANY 4th gen is barking up the wrong tree. They are neither old enough nor new enough to be appreciating in value yet. Not helping is that car was probably $34k new, which was arguably too high in the first place. 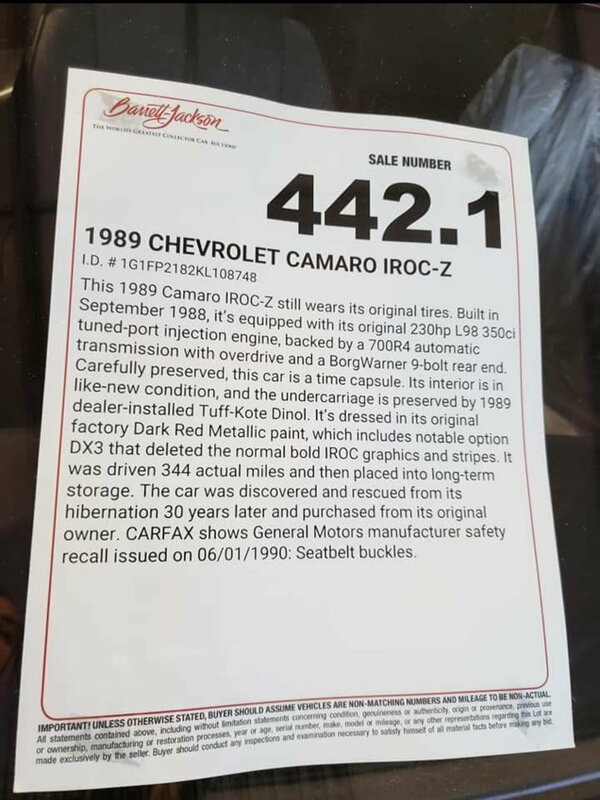 I was shocked that it sold for less than the 87 Regal Limited (lot 167). It had 55,000 miles and lighty modded! that 87 regal limited with 55,000 miles brought almost 40k with the wrong rims and didnt even look that clean .. thats insane !! 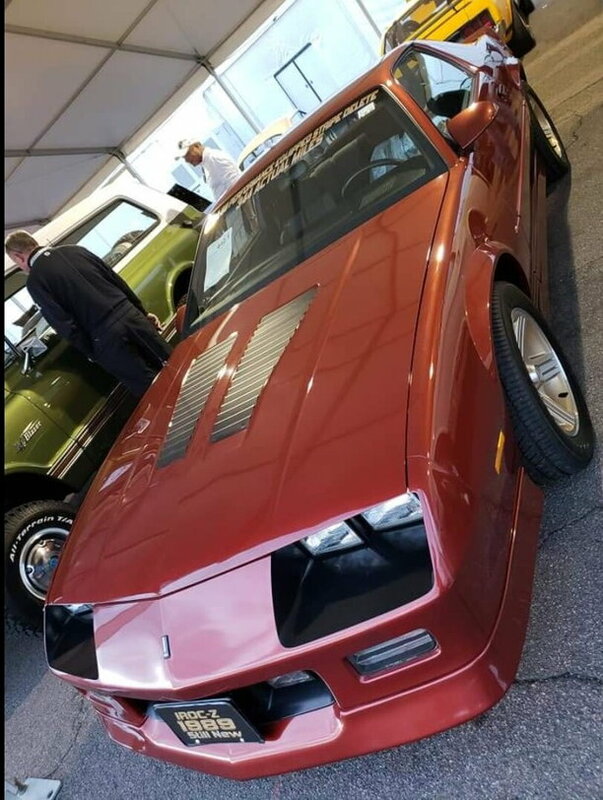 doesnt matter what day or time it is at barrett jackson if you have a car that is in demand .. alot of the bidders are not there and have been through the all the cars and know which cars there going to bid on before the auction even starts ..
about what time will this car be crossing the block? 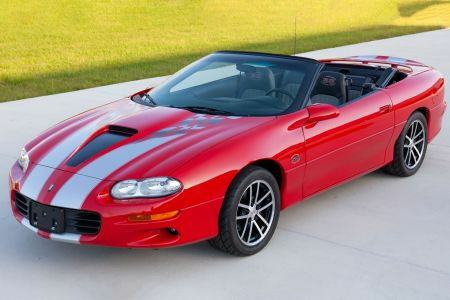 $25K is a decent number for a 4th gen, even a low miler. seems like an off day in general. some cars that went before it did not fetch near what i would have thought they would (i am by no means an expert). Having said that i think $34k is a good fetch, no? I mean sure, we were pulling for more, but i think that went well IMO. There's a 1LE 3rd gen going up today too w/like 1400 miles or so. congrats on the sale, interesting car! great one. and I'm sure you will do very well - GLWS !! Well, nailed it......congrats on the sale, any idea where it's headed to?? I spoke to a bidder after the sale. He was pissed and swore they short hammered the car. I was not at the auction yet so I cannot confirm.. he told me he wanted to go 40, but talk is cheap after you loose! We had 7 guys here in the office watching the auction. It was definitely short hammered. I am also told that they ran the lot out of sequence meaning early to the block. Can anyone confirm if the car was ran out of sequence? Car ran across before I even got there. So did it meet your expectations? Sounds like it sold for a reasonable/fair price. Couldn't imagine a thirdgen selling for much more. I was surprised it went for that much given a few of the closeup photos from auction attendees that surfaced on a facebook IROC page, but I'm glad to see all things thirdgen gaining in value. Well sold! The car was run early. When I got to the auction it had already run through and I missed it also. I did see the 90 1LE sell for 49,000. This has been a great experiment. And finally the fact that the car is under coated.